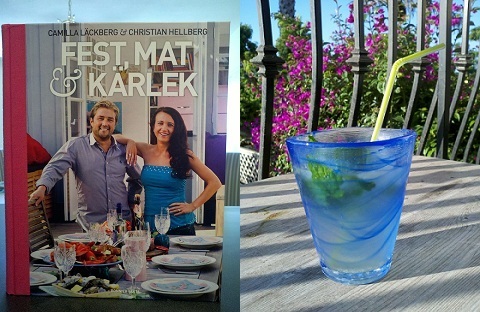 We are having a heat wave in Southern California right now, and a mojito is the perfect drink on a hot summer’s day. Swedish crime writer Camilla Läckberg agrees, and in the chapter “Sun, Food, Vacation” in her and Christian Hellberg’s latest cook book we find a recipe for the classic Cuban drink. Mix raw sugar and mint, add crushed ice and rum (I used vodka), and squeeze in some lime juice. 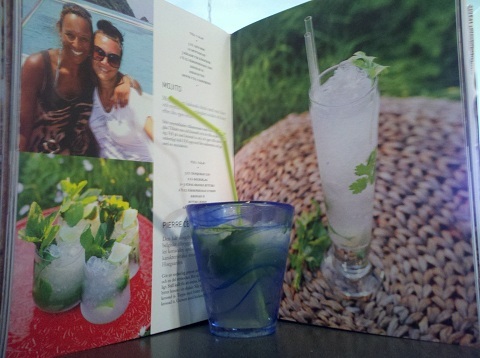 Top it off with soda water and garnish with mint leaves. Enjoy!